We have heard many stories where a disciple sacrifices everything for the love of his guru but Lord Krishna was one who would give up everything and go to any extent for his true devotee or disciple. As we all know, the Hare Krishna movement has been spread by the Vaishnav saint ShriHaridas. However, it is important here to know about the past life of saint Haridas. Haridas was the son to Richika muni as Prahlad in his previous birth. One day, Lord Krishna visited Richika muni and his son Prahlad (saint Haridas) offered him a tulsi leaf without washing it. 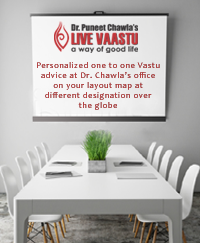 On this, his father got annoyed with him and cursed him of becoming a mleecha (a non-Vasihnav) in his next birth. Hence, in his next birth as saint Haridas, he had to chant the name of Lord Krishna 3, 00,000 times a day. As old age loomed over him, it became more and more difficult for Haridas to chant the Lord’s name. Seeing his pain and difficulty, the lord told Haridas not to show such kind of devotional practice towards him. He asked him to reduce the number of chants every day. Showered by the love and concern of the lord, Haridas finally broke up in front of the lord and told him what exactly was disturbing him. He knew his life was earth was about to come to an end, hence he wanted to depart from the world in front of Lord Krishna’s presence. Lord Krishna, seeing his devotion and love for him, granted Haridas his wish although he was not in favor of it completely. Haridas sat in front of the Lord with his eyes filled with tears. He took the Lord’s feet on his chest while chanting ‘Krishna Chaitanya.’ Slowly his body left for the heavenly abode. However, for performing the final rites the Lord collected Bhiksha from the market in Puri so that he could carry out the Vijay Yatra of his disciple according to all rituals and norms. He did not allow even the other disciples to touch Haridas’s body who offered to help during the Vijay yatra of Haridas. The lord carried Haridas’s body all by himself to the RudraBhumi. 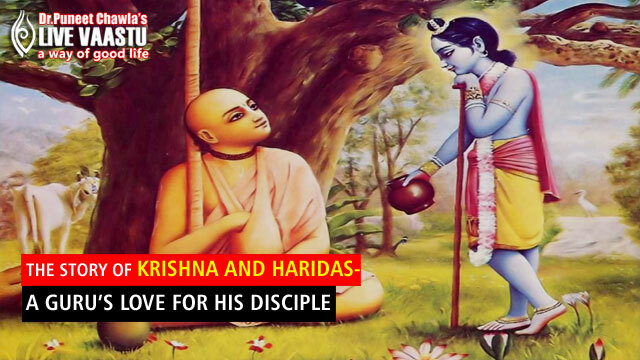 This shows the immeasurable love of Lord Krishna that he had for his disciple Haridas. This incident also highlights the intense love of a guru which stands against all odds.